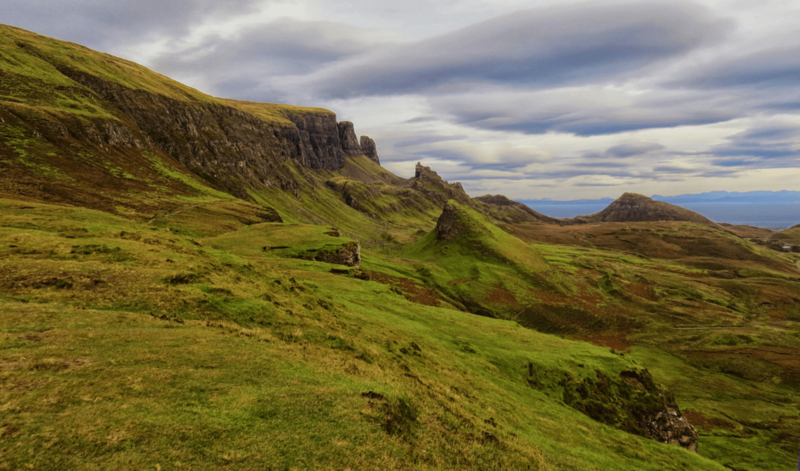 See the stunning Scottish Highlands! Help to restore the Caledonian Forest. 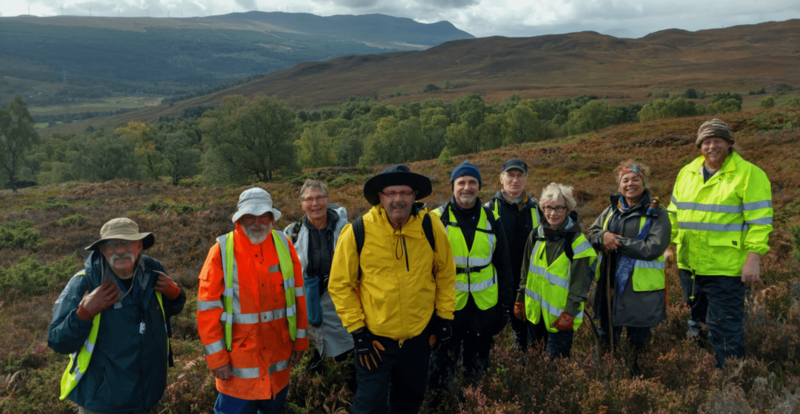 The Scottish Highlands volunteer trip helps to reforest and rewild the highlands at Dundreggan Conservation Estate, located in beautiful Glen Moriston, along the ‘Road to the Isles’! Our environmental conservation projects will take place at Dundreggan, a 10,000 acre expanse of wild land. 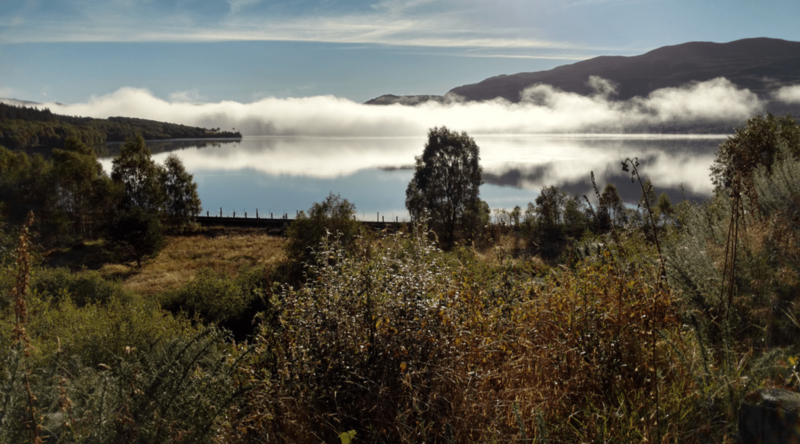 Located near Loch Ness, it is a center for rewilding and a flagship forest restoration project. Dundreggan contains a remnant of the ancient Caledonian Forest and is especially noted for its exceptional juniper-birch woodland. It has been described as a haven for biodiversity, supporting many rare and endangered species. You will take part in a variety of exciting activities to help restore the ancient Caledonian Forest, which could include tree planting, removing non-native species, growing rare trees in a nursery, collecting seeds and berries and carrying out important surveys to monitor forest regeneration. Additionally, you will be given a special talk about rewilding and forest restoration from an expert land manager, including information on reintroducing missing species such as the Eurasian lynx and European beaver. Your Scottish Highlands Volunteer Trip is focused on helping to reforest the Scottish Highlands. What follows is a general description of activities you can expect on the Scottish Highlands itinerary. Please note, however, that local conditions and the volunteer project needs continually evolve. Detailed plans are often finalized or revised after the group arrives and the trip leaders review the conditions at the site in light of the capabilities and special interests of the volunteers. IMPORTANT NOTICE Day 1 is the day you should plan to arrive at the meeting point for the trip. This may require departing your hometown one or more days in advance and traveling on an overnight flight. Since our trip begins in Edinburgh, you might want to arrive a few days early to explore Scotland’s historic capital, and nearby sights. Day 1: Meet the group in Edinburgh, then travel to Inverness. Welcome to Scotland and its ancient capital, Edinburgh! Our trip begins at 8:00 a.m. with an orientation where you’ll get acquainted with your ConservationVIP® Trip Leaders and fellow Volunteers, and get an overview about the exciting week ahead. After our orientation, we’ll load up our bus and head for Inverness, the capital of the Scottish Highlands. Along the way our expert guide will stop at a number of scenic vistas, historic sites, and engineering marvels. We plan to visit the mythical Kelpies, the Falkirk Wheel — a Ferris wheel for boats — and scenic Glencoe, the site of one of Scotland’s most notorious massacres. Then we will travel along Loch Ness (keep an eye peeled out for Nessie! ), arriving at Inverness at the head of Loch Ness, for dinner and an overnight stay. Lunch and Dinner included. Please make sure you eat breakfast before you arrive at our meeting location. After breakfast, our trip leaders will take us on a walking tour of historic Inverness. 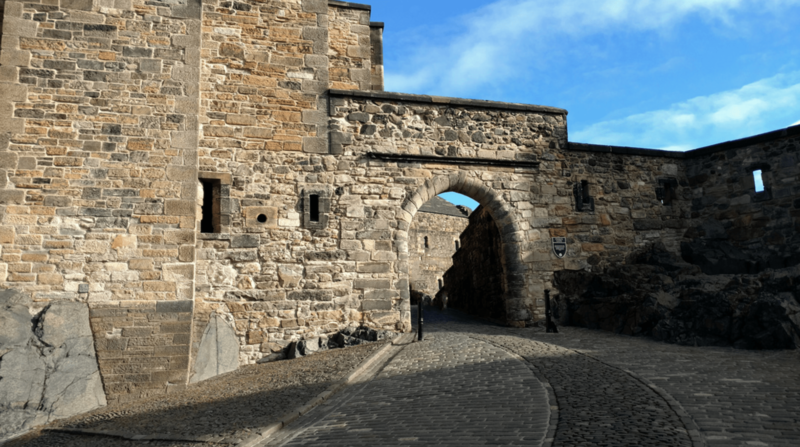 We will walk along the River Ness through the Ness Islands, check out Inverness Castle, explore historic downtown, and get one more chance to shop for any forgotten items. After lunch, our Trees for Life leaders will pick us up and take us back along Loch Ness to Glen Moriston, where our home and project site, Dundreggan Conservation Estate is located. Dundreggan Conservation Estate, once a hunting estate, is the focal area of Trees for Life’s restoration programs. It has a large remnant of ancient Caledonian Forest, with running brooks or “burns,” waterfalls, magnificent ancient Scots pine, and rare yew. The estate houses a large native plant nursery where thousands of seedlings and cuttings are grown for reforestation efforts throughout the Highlands. 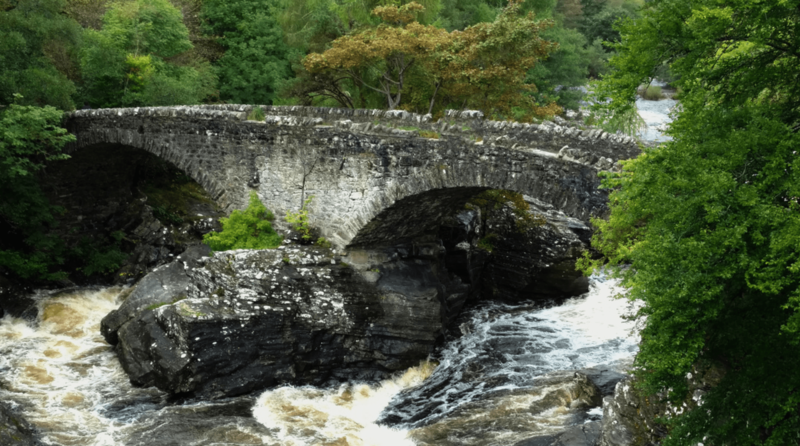 The Estate is also home to legends of dragons (dreggan) and faeries, and a medieval “motte” – a stone and earthen defensive mound that was used by the local clan chief to keep an eye on Glen (valley) Moriston. Once we settle into the homey lodge and get oriented to our week ahead, our Trees for Life leaders will take us on a guided walk into the estate to learn about the ecology of the Caledonian Forest. All meals included. Meals at Dundreggan Conservation Estate are vegetarian based and are planned and prepared by the trip leaders. Participants make their own breakfast and box lunches from a variety of food available. Lunch meats may be provided upon request. A typical workday consists of preparing a hearty breakfast of your choice, packing your lunch, and being geared up and ready to go at 8:30 a.m. Our projects will vary throughout the week, and may include working in the on-site native plant nursery sowing seeds or cuttings, or transplanting native plants to bags ready for planting, and other tasks assigned by the nursery staff. Other days we will work outside, removing non-native species, planting native plants, or surveying for the presence of native wildlife such as the beautiful red squirrel. This work may involve hiking 1- 3 miles round trip per day. Throughout our days, our Trees for Life leaders and other Trees for Life experts will provide us with ecology, history and lore about the Highlands, and the critically important nature of our work. After our projects end for the day, generally around 4:30 p.m., you’ll have a little time to relax before dinner. All meals included. After dinner is free time to relax, to read, or gather around a cozy wood stove and tell stories. Keep an eye on the TV hooked up to a remote night vision camera; you might get a glimpse of the resident pine martens scurrying around the stone wall! The lodge is equipped with a small library stocked with a variety of materials and books about the Highlands for your reading pleasure. We take a day off work in the middle of the project to rest and relax. On this rest day, you will have the option to visit more of the Scottish Highlands and return in time for dinner at the lodge. All meals provided. Days 7 – 8: Work on projects to help restore the Caledonian Forest. The group will continue with the work described above for days 3 – 5. After breakfast, we will return to Inverness, ending our group experience at the Inverness train station at about 10:00 a.m. Breakfast included. Note: Although we do our very best to adhere to the schedule above, the itinerary is subject to change for numerous reasons beyond our control, including weather and terrain conditions. Project locations may vary with each volunteer expedition according to the needs of local non-profit at the time the trip takes place. IMPORTANT NOTICE REGARDING AIR TRAVEL: Before purchasing your airline tickets, please check with us to ensure the trip has the necessary minimum number of participants required to operate. The key to staying comfortable while on an active trip is layering. To get maximum comfort with minimum weight, you need versatile layers that mix and match to create the right amount of insulation, ventilation and weather protection. The gear list has been created to help you in choosing your equipment for the trip. View the the Gear List PDF. 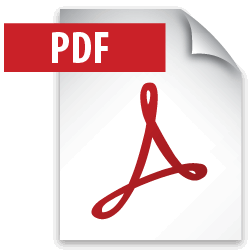 Click to view the PDF Trip Reports. Also, visit the Impact Summary page and see the difference volunteers make! Exceptional experience! Here's a truly beautiful place, the Scottish Highlands...in great need of some thoughtful care and attention...and we helped make it happen. On Dundreggan Estate I met new and interesting people from so many different walks of life who are helping restore this ancient forestland. By day everyone worked hard with folks from Trees for Life...especially Peter and Stephen, our focalizers...making a real difference to help bring the forest back. In the evenings, we teamed up making dinner and sharing our unique life experiences. So much in so few days. Weather was great. People were great. Work was great. Thanks all. I had been wanting to do this trip for several years. Volunteer friends from a ConservationVIP Patagonia trip posted photos and told stories that feed the desire and finally the timing worked out. I was very pleased with the facilities and eating vegetarian was not an issue. We were lucky with lovely weather for the days out in the hills. The reason for 4 stars is that I would have been willing to work longer and harder. Forgive the title. SNL inspired. This trip manifested for me after three years. After a trip to Yosemite which introduced me to CVIP, Scotland became a mission. This was a perfect experience for me whose goals encompassed: Be Outdoors, Be in Scotland and Do Good. Perfect weather. Trees for Life and the Focalisers - Peter and Stephen - just tremendous. All was well-planned and I could tell that our leaders, Barbara and Paul, were in good communication with each other to make sure all was going smoothly. And Scotland? Well, you couldn't pick a more wonderful natural setting, historically and visually, for a journey like this. Best for me was the company of eight other participants with varied lives and talents and we all came together like a natural entity. All vegetarian food worked. The weather worked. We worked. I learned a lot from my co-trip mates and our focalisers and Trees for Life staff. The Haggis Tours van ride from Edinburgh to Inverness had the best knowledgeable and enjoyable young woman - Caitlin - driving and I learned so much Scottish history. I appreciated this background information. 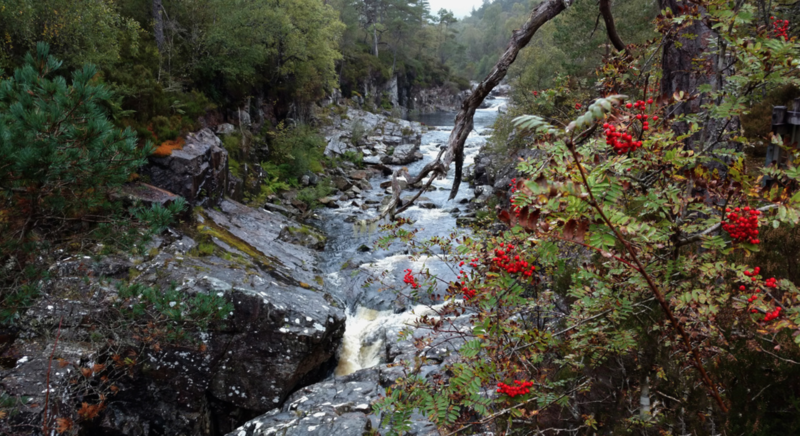 I took a couple days after to hang in the Cairngorms in a little village, Carrbridge. Trains to and from Glasgow and Aviemore to Glasgow were easy and efficient. Well done, all. Thank you Scotland and all whom I met there. Loved this trip of a lifetime. The Romans named Scotland “Caledonia”. The name comes from an early Celtic word meaning “strong” or “hard”, an accurate description of the rugged and wet terrain of the Scottish Highlands. 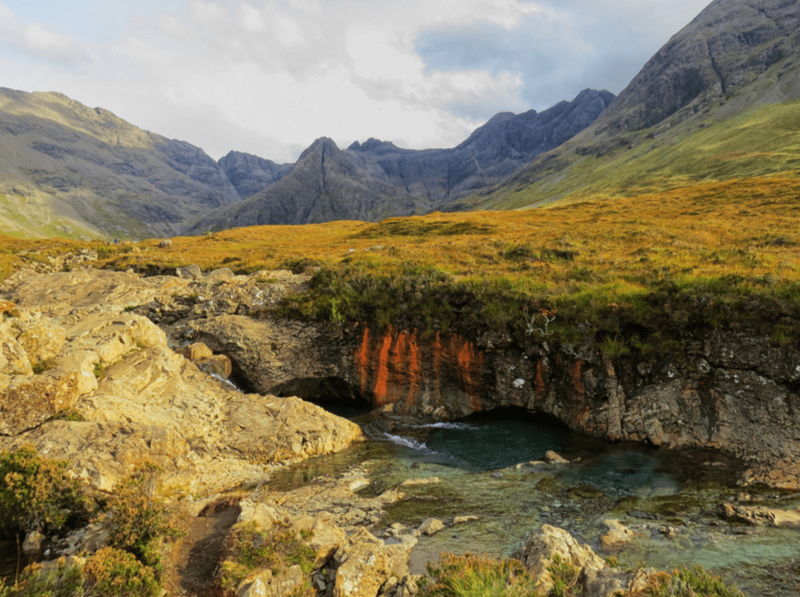 Have extra time to explore in Scotland? Recognized as the capital of Scotland since at least the 15th century, Edinburgh offers a variety of options for history buffs. Explore Edinburgh’s medieval Old Town and 18th-century New Town, which together form a UNESCO World Heritage Site. Edinburgh’s other historic sites include Edinburgh Castle, Holyrood Palace, and St. Giles’ Cathedral. History also abounds outside Inverness, the capital of the Scottish Highlands. Six miles outside Inverness is Culloden, the site of the last battle on British soil, which took place in 1746. Tour the modern visitors’ center to better understand the history. As you walk around the battlefield, stop and look at the boulders marked with the names of the Scottish clans who fell at Culloden, hinting at the scope of the slaughter that took place there. About 11 miles from Inverness is Fort George, built between 1748-1769 by the English to guard the narrows in Moray Firth. Virtually unchanged after 250 years, it is an outstanding, and enormous, example of an English military fortification. As you walk around Fort George, visualize the forts built in North America by the English that pre-date the American Revolution, such as Forts Ticonderoga and William Henry in New York State.